There’s a recurring problem I face when subscription companies ask me to help them lower their churn rate, improve renewals, and break through subscription rate plateaus. And in the growing subscription box world, this problem is worse than anywhere else. Subscription boxes are exploding in popularity. The number of subscribers is increasing, and this demand has caused a lot of growth within the industry. The problem, however, is that subscription boxes allow their value to be measured based on the value of the products inside the box. If the retail value of the box’s contents is $95 and the cost of the box is $25, then that’s a great value. However, this thinking doesn’t work for boxes. It’s like measuring this Sunday’s sermon based on the retail value. Or measuring the impact of the football game based on the number of great plays compared to a basketball game. Or measuring the value of a blog post based on what it would cost you to buy that content. None of these make any sense either. Measuring the retail prices of a subscription box is transactional marketing. You are transacting a box of merchandise for a price. And if you are trying to base your value on a discount as compared to the retail price, then you are competing against Costco and Walmart. A key lesson I must teach my subscription clients is to be in the transformational business. With transformational marketing, it’s about how you are changing your customer. What is their current state before your box arrives, and then how does your box change their life in a positive way? THIS is your value. While I’ve studied more than 100 different subscription boxes, I was impressed for the first time with The Summer Box by FabFitFun. While the contents of the box are excellent, I was most impressed by the insert included inside the box. It was the single best subscription box insert I’ve ever seen. Most subscription boxes rely on a postcard-sized insert card that explains each product within the box. Some of the more sophisticated companies include a link to an unboxing video where you can learn more information. FitFabFun exploded those norms with a 14-by-11-inch 12-page insert with great editorial and beautiful photography. Rather than leave their value to only be judged by online unboxing videos, they’ve included descriptions for products, links to videos online to build a relationship, links to their smart phone app, recipes for products, a styling guide for using the ruana included in the box, a short Q&A with the designers of the included products, and my absolute favorite, member spotlights that include little profiles of four of their FitFabFun members along with a link to their community. Most subscription boxes wasted their single biggest opportunity in their business, which is fostering a relationship with their members. They get so focused on what’s in the box that they don’t stop to think about how they connect with the person who is receiving it. This is a common problem. I’ve seen this with publishers focused on their editorial, SAAS companies that can’t look past their own features to understand how a member may use their product, and service companies that don’t get their customer on board and using their product. To survive and grow, subscription businesses must recognize they are in the relationship business. And no matter whether your value is in monthly information, software tools, or stuff, the connection comes from turning your subscribers into a vibrant tribe of supporters by growing a relationship. 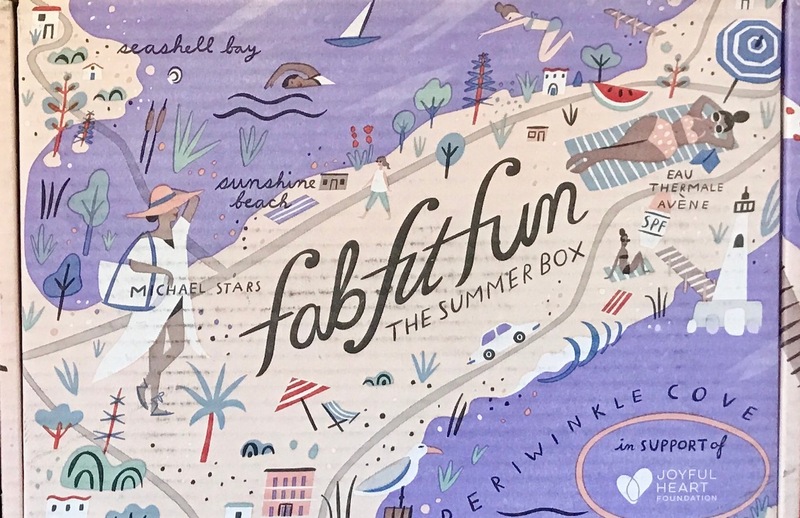 The Summer Box from FabFitFun includes an excellent insert to increase the perceived value of the merchandise in the box, create a relationship connection and to transform subscribers into a vibrant tribal community. This is a brilliant example of taking nothing for granted. Some customers may become frustrat-ed because they don’t know how to incorporate a ruana into their wardrobe. Rather than leaving her feeling frustrated, this simple style guide transforms her into a chic beachgoer. If you can transform how she feels about herself and connect her with others who have made a similar transformation, you’ve got a subscriber for life. If I work with ten clients I maybe get one or two to feature their members within their publica-tions and media. Here’s a simple way FabFitFun introduces their members to members, plus they take the extra step of inviting their subscriber to engage within their community. For a sub-scription company, a community is your single biggest asset. Each box, issue or post should be focused on building your community. Subscribers quit, a vibrant tribe is forever.